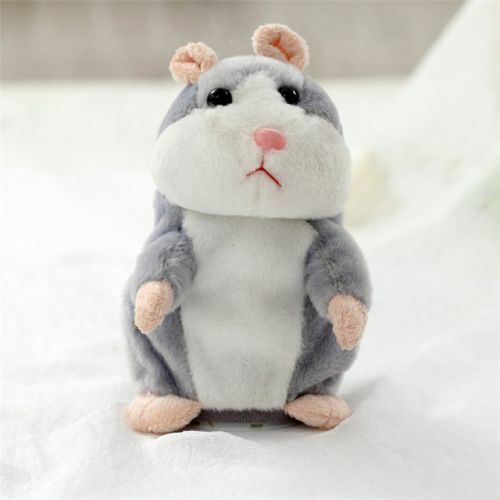 Introducing the hottest Talking Hamster Mouse Plush Toy!! The adorable little Hamster loves to repeat what you say but in his own critter voice. Simply squeeze his left paw and then record a short message (up to five seconds long). He'll repeat the message back to you in a funny, high pitched voice. Package: opp bag, without box. Instructions: When you place 3 AAA batteries in it, Please turn the button to "ON", then speak to him, and he will speak it follow you.